This week, we not only have a video but we also take a look at a very special book! I actually ordered this one a couple of weeks ago but it only arrived last weekend for me to unbox last Sunday and cue the video and this post. I saw this book a couple of weeks ago and I couldn’t resist ordering it when I got home! I’m very happy to have it all folded out and gorgeous on my shelf. Want to see me unwrapping (and unfolding) this book and two others? Watch my video below or on Tea Pusheen! 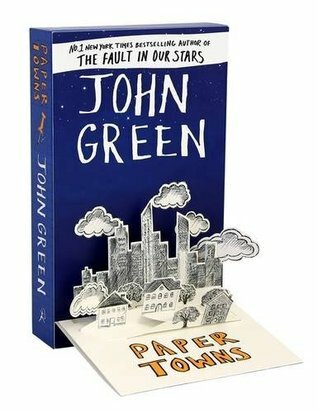 Paper Towns is a great read.